Post-secondary education is a tricky time for any student, even more so for those who are unable to attain top grades in their classes, which can help them gain entry into more affordable public universities. Lydia, an orphan caring for her siblings, was one such student who found herself in this situation. 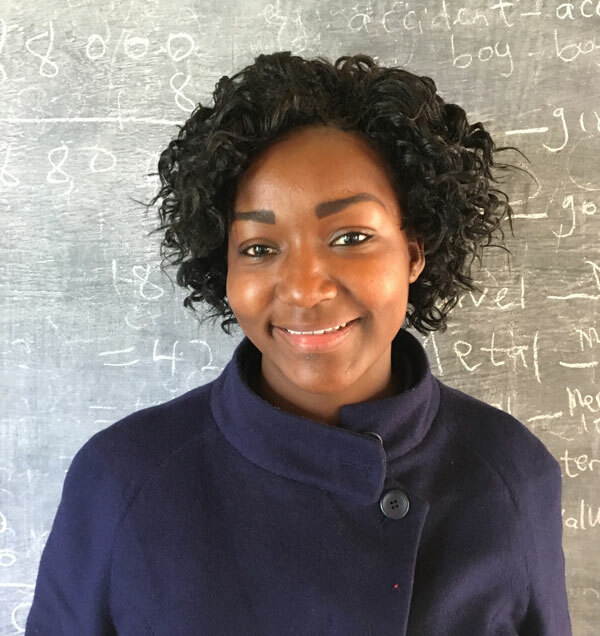 After she was unable to obtain her secondary certificate due to outstanding balances, Lydia had no other choice than to engage as a day laborer in order to provide for her family. She married at 18, immediately after clearing her secondary education, an arrangement that helped with housing her family. However, her marriage ultimately failed, and she moved back into the unknown again, this time with a new daughter in tow. Her younger siblings were sponsored by Moja Tu, and in the process it became clear that Lydia needed help as well. Lydia always had a passion for beauty. She loved doing others’ hair and nails, and her talent caught the eyes of Moja Tu sponsors, who understood that helping Lydia also meant helping a number of children that relied on her. With the aid of Moja Tu sponsors, she applied for a seat in a beauty school and was accepted. In the upcoming six months in beauty school, Lydia will acquire a number of skills, including how to give massages, cut hair, and do pedicures and manicures. Lydia is concentrating on school so she will be employable, or even be able to run her own small business to help take care of her siblings, in the near future. Many young men and women have a developed, special skill set, but no one to support them in making the next step. Moja Tu is proud to have helped Lydia make hers.